Cafe Hanoi is one of my all-time favourite restaurants in Auckland (along with Depot and The Federal Delicatessen). And why you may ask? Because the atmosphere is buzzing, the service great and of course, their south-east Asian and Vietnamsese food is always full of flavour and presented well, no matter what you order! 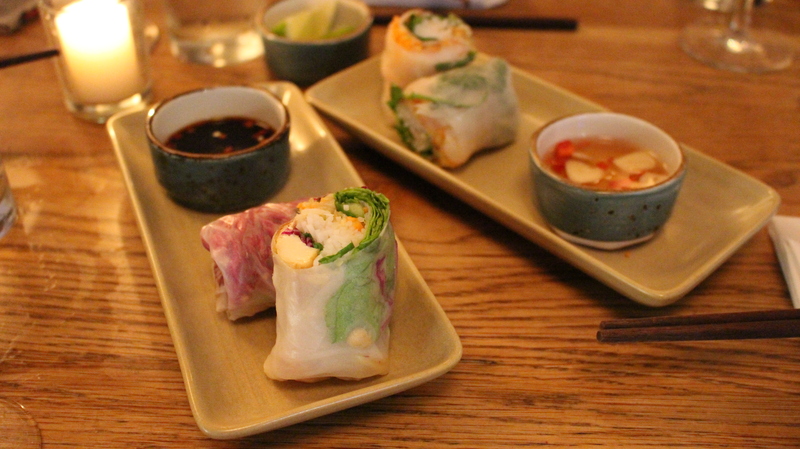 I have dined at Cafe Hanoi on several occasions – dinners with friends, family birthdays and work functions. It is definitely the perfect place to celebrate something special. And if you are feeling fancy, they also have a private dining room as well. – And for dessert, I love their Sago Pudding, with white chocolate, yoghurt cream and palm sugar caramel – melt in your mouth! The service has also always been fantastic as well – very friendly and welcoming, water glasses are consistently topped up and I have never had to wait long for the food. They don’t take bookings, so I recommended having an early dinner here, because the restaurant fills up so quick. Or you could put your name on their waiting list, take a seat at the bar and enjoy a few cocktails. Highly recommend Cafe Hanoi! Thanks Elle Belle! What is your favourite dish there? I have been wanting to try this place. Even more so now after reading your post.